Bernie Sanders Calls For 'Fundamental Reassessment' Of Democratic Party NPR's Robert Siegel speaks with Sen. Bernie Sanders about his new book, Our Revolution, which outlines his programs to combat inequality, discrimination and lack of opportunity in the U.S.
Thousands of people gathered to hear Democratic presidential candidate Sen. Bernie Sanders during a campaign rally Sept. 14, 2015, at the Prince William County Fairgrounds in Manassas, Va. 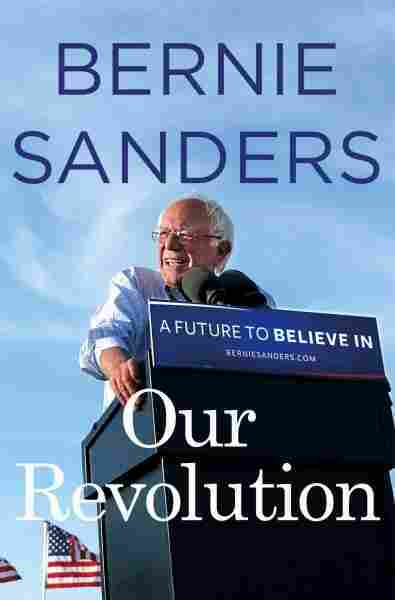 In Bernie Sanders' new book, Our Revolution, the Vermont senator tells the story of his life, his career and his run for the Democratic presidential nomination. He also spells out the programs he believes the country should adopt to combat such ills as inequality, discrimination and lack of opportunity, not to mention the burdens of college and health care costs. Sanders says he was not shocked by Donald Trump's victory. But he says the election results show it is time for the Democratic Party to undergo a fundamental reassessment. "I think it's time for a fundamental reassessment," Sanders tells NPR's Robert Siegel, "and I think what that reassessment has got to entail is to understand that we cannot have a party that will win, if we continue to become dependent on big money interests and campaign fundraisers all over this country." It's not a question of whether you refuse to accept it or you accept it. It's a reality. But what I say to those young people is we have got to stand together by the many millions and not allow this country to descend back into racism and sexism and xenophobia, to make sure that Trump is not successful in pushing an agenda which divides us up by race or the country that we were born into. On the other hand, Trump ran his campaign talking about he was going to be a champion of the working class. He was going to stand up to the establishment. Well, let me tell you, we are gonna hold him accountable to that. It is a very, very bad appointment. I hope he rethinks it, and I hope that he understands that in the year 2016, we are not going back to a society rampant with racism and sexism and homophobia and xenophobia. Well, what we do now is rally millions of young Americans who are sick and tired of leaving school $30-, $50-, $100,000 in debt, and those who simply cannot afford to go to college, and say that in a competitive global economy, it is absolutely imperative that we make public colleges and universities' tuition free. How you deal with that issue is how you deal with all issues. 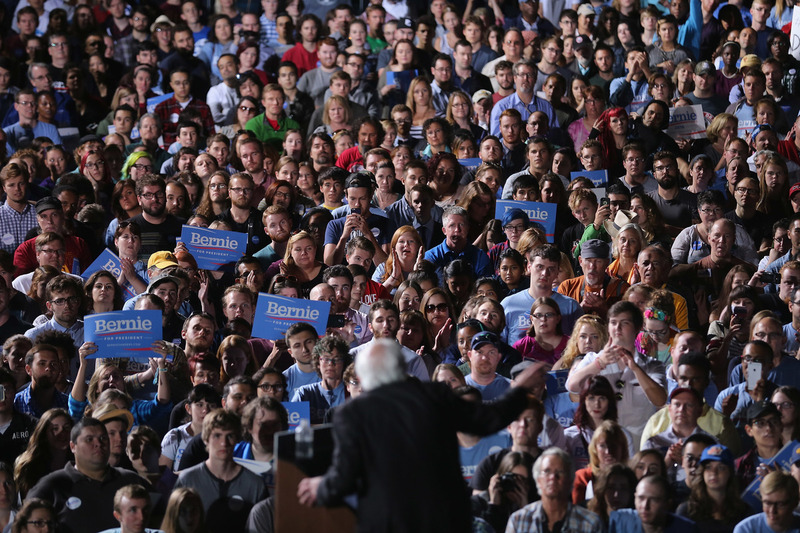 We are gonna have to raise public consciousness, we're gonna have to, and what the political revolution is about — we've had some really good successes. Yeah, maybe a march on Washington. It may be bombarding your congressman and your senator with emails, with phone calls to say, "You know what, in America people have the right to get a higher education regardless of their income. And by the way, maybe there's something wrong when we are the only country on Earth not to guarantee health care to all people as a right. "Oh yeah, and while we're on the subject, how come we're the only major country not to provide paid family and medical leave? Oh yeah, and maybe we should deal with climate change because the scientific community tells us if we're not gonna deal with that, then the future of this planet is a very sorry future indeed." I'll tell you how I understand it. I understand it because there are a lot of people in this country, including people in the Democratic Party, who do not fully appreciate the kind of suffering and pain that millions of working people in this country are feeling. You've got working mothers out there who cannot afford to pay $10-, $15,000 a year for child care. You got working couples who desperately want to be able to send their kids to college; they can't do that. You got half of the older workers in this country — do you know how much money they have set aside for retirement? Nothing. They've got nothing. They're scared to death. And then you got a guy named Mr. Trump, who goes around saying, "I'm gonna champion you! I'm a friend of the working class! I'm gonna take on the establishment!" And the Democrats have not been as clear as they should be, which is why I think we need fundamental reform of the Democratic Party. And saying, "Yeah, no, sorry, we are the champion of working families and low-income people and the elderly and the sick and the poor. We are gonna take on the billionaire class. We want you to participate." That's what we need. And I think a lot of people who voted for Barack Obama in 2008, voted for Barack Obama in 2012, and who like Barack Obama, said, "You know what, I'm going to go for Trump because he has been clear about feeling the pain of working families."